Are you looking for a Cheap Auvergne campsite? For an Auvergne campsite to reduced prices? 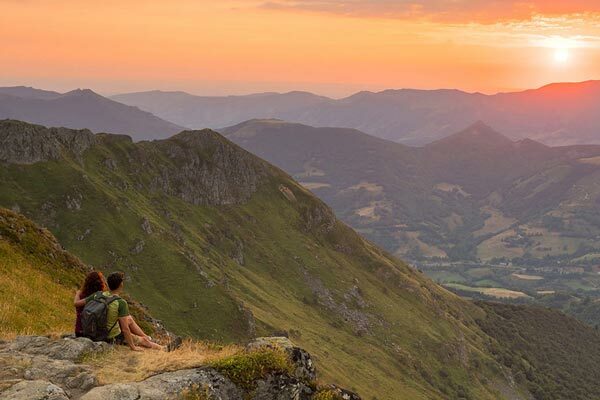 Would you like to discover the volcanoes of Auvergne for two and stay in an intimate, comfortable and fully equipped accommodation in the heart of the Massif Central at the best price? To sleep in the cozy bed of a mobile home with a modern finish, to be awakened by the song of the birds and to have breakfast on the private terrace of your comfortable rental while admiring the surrounding nature? Save money and take advantage of our special couples packages to offer you a dream romantic stay in a camping Auvergne ! 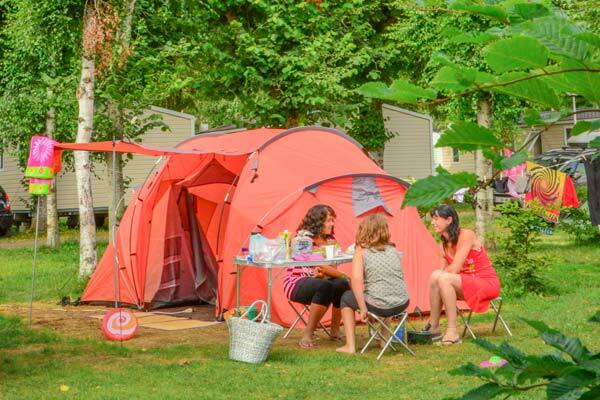 At Camping Auvergne, you will have the choice between a wide range of comfortable accommodation, without spending too much on your holiday budget. 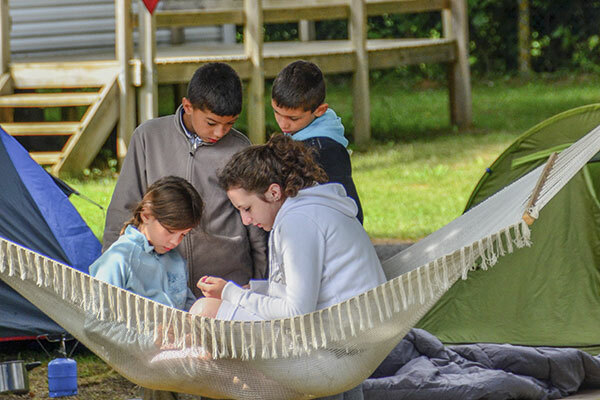 This is why we invite you to take advantage of our beneficial offers at the cheap campsite Auvergne, and guarantee you an unforgettable stay in Murol with your family. mobil-home Classic (21 m²) for only 189 € (35 € per additional person). mobile home Comfort from 28 m² to 229 € per week (49 € per additional person). Our mobile homes have a main living room with a lounge area and an integrated kitchen (hotplates, refrigerator, microwave, crockery for 2 people), two bedrooms, a bathroom (independent WC) and a raised wooden terrace with garden furniture. Spring is synonymous with week-ends and short stays. During the weekends of Ascension (end of May) and Whitsun (beginning of June), you have the possibility to book a mobile home for 2 or 3 nights and extend your romantic getaway until 4pm. You can spend a few more hours in our heated swimming pool, on the terrace of the bar restaurant or your mobile home before leaving. Good to know: throughout the year, you can benefit from a 10% discount if you stay at least 14 nights in a mobile home. 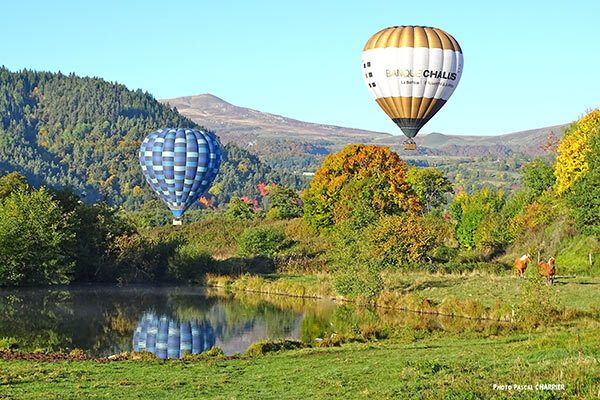 A cheap holiday in Auvergne is possible ! The luxury of a fully equipped mobile home is certainly attractive, but you prefer traditional camping to better control your holiday budget and feel in perfect harmony with nature. For our purist friends who want a high degree of comfort, the Auvergne pas cher campsite is launching the Privilege XL package. This special offer guarantees you a spacious 110 m² pitch for 8 people suitable for tents, caravans and motorhomes. Our bare grounds are located in a peaceful and shaded area of the campsite, close to the sanitary blocks and other facilities. Each plot is covered with lawn and lined with small natural hedges. You can thus preserve your privacy while immersing yourself in the warm atmosphere of a cheap outdoor hotel in Auvergne. 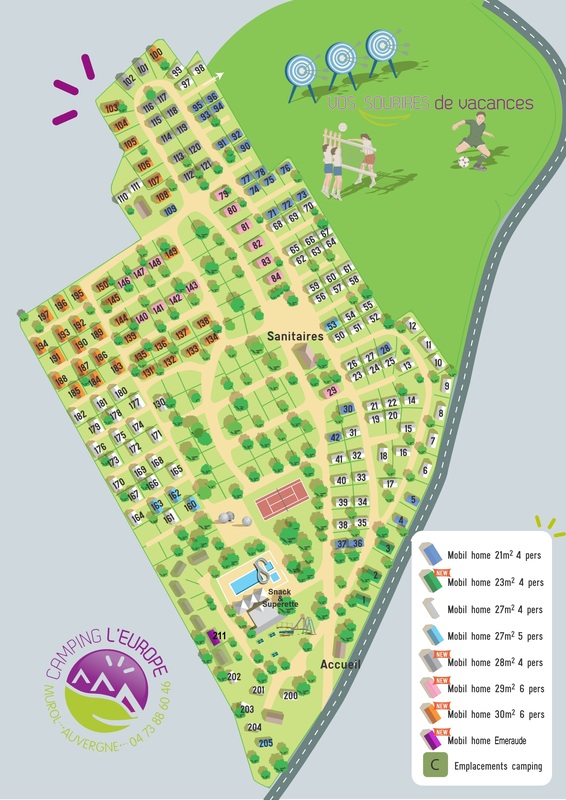 Want to know more about our mobile homes, our special offers for couples and our XL pitches ? Contact us and we will answer all your questions to help you organize your next stay at the Auvergne cheap campsite.